In Year 7, students are taught in mixed ability groups for one hour per week, over a 20 week period, during which they will complete their own Fabric Picture. In Years 8 and 9, students will be placed into ability sets. In Year 8, students will make either an embellished T Shirt or an Ugly Doll. In Year 9, students will make a ‘Dress for Africa’. 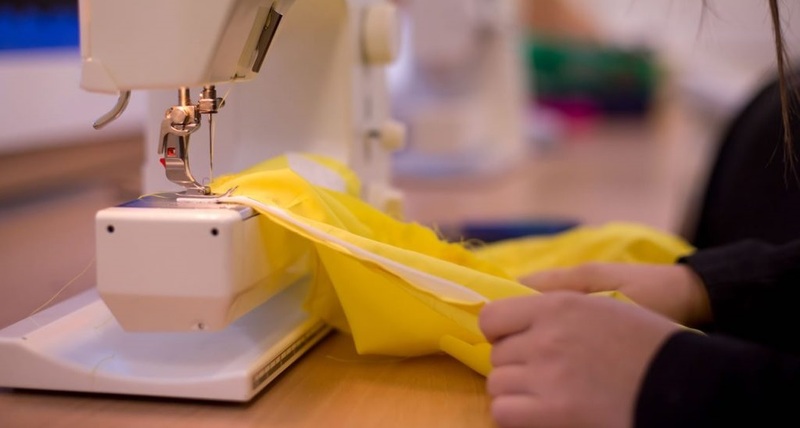 Students in Years 10 & 11 are studying the GCSE Design Technology Textiles course (AQA Board). Design and Technology Textiles is a practical subject area which requires the application of knowledge and understanding when developing ideas, planning, producing products and evaluating them. Students are encouraged to be creative and innovative designers and produce a portfolio of design work and a 3D final product outcome. In Year 11 students will produce one piece of coursework which accounts for 60% of their final grade. The final exam accounts for the remaining 40%.